Republicans should follow Sen. Barack Obama's advice and filibuster the president's SCOTUS nominee. Although nothing in his political history suggests magnanimity, Barack Obama may surprise us by nominating one of those moderate-consensus types who would provide some of that national healing he promised us eight years ago. But he’s certainly under no constitutional obligation to do so. 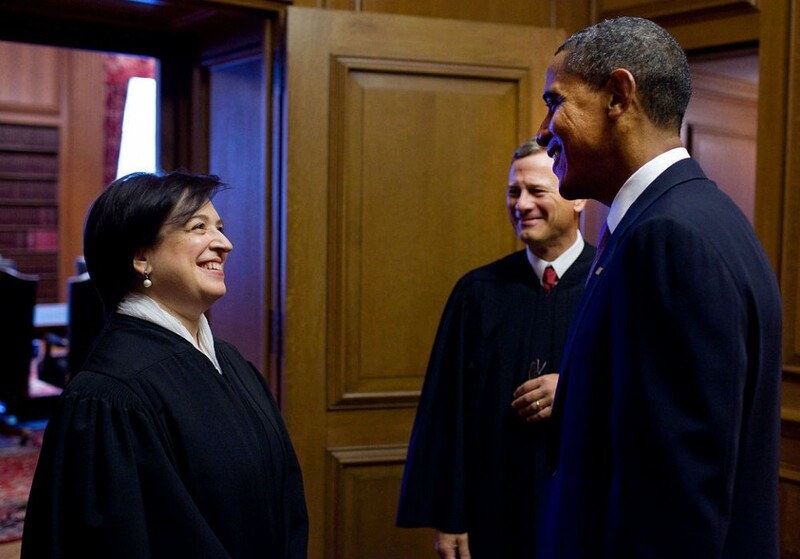 He can nominate whomever he pleases in the wake of the vacancy left by Antonin Scalia. And Republicans have plenty of precedent for rejecting his choice. I disagree with this view. I believe firmly that the Constitution calls for the Senate to advise and consent. I believe that it calls for meaningful advice and consent that includes an examination of a judge’s philosophy, ideology, and record. And when I examine the philosophy, ideology, and record of Samuel Alito, I’m deeply troubled. You’ll notice, as well, that precedent only matters sporadically. Democrats were uninterested in historical guidance when they were shoehorning a massive generational reform through Congress without any consensus for the first time in history or filling imaginary recess appointments. When it works out for them they transform into strict traditionalists. Whatever precedent says, if Republicans truly believe Obama has displayed a contempt for the Constitution, they have a moral obligation to reject his choice—whether it’s someone who argues in favor of book banning or enables abusive power. Because we’re not talking about good-faith disagreements over what the Constitution says anymore, we’re talking about a party that believes enumerated powers stand in their way. Contemporary liberalism is fundamentally opposed to any precedential restrictions that curb “progress.” Wilsonian progressives were skeptical of the Constitution and separation of powers, and so are modern progressives. Only the former had the decency to be honest. So why do we pretend otherwise? Just like Wilson, Democrats argue that the Supreme Court is holding back many morally advantageous policies. What they do not do, and haven’t done for years, is offer any limiting principles (other than for few incidental partisan policies they happen to support for reasons have nothing to do with individual liberty). For them, process exists solely to further ethical policy (which they don’t believe could possibly be subjective). Even Donald Trump, who claims to believe America is limping towards extinction, felt the need during the last debateto claimed he would build consensus when applying trade and immigration policy rather than act unilaterally. There is no such inclination, not even rhetorically, on the Left. Just listen to the Democratic Party debates. Bernie Sanders’ litmus test for a Supreme Court nomination is pretty simple: the candidate must support restrictions on the First Amendment. Most Democrats agree. Bernie Sanders’ litmus test for a Supreme Court nomination is pretty simple: the candidate must support restrictions on the First Amendment. That’s great, because no one is contending Obama can’t send a nomination. They argue (or should) that Republicans can reject the nominee. Unless, of course, the former constitutional professor nominates some kind of Madisonian to keep a tenuous check on state power and curb the reach of the bureaucratic state. For years Democrats have argued that the president should work around Congress due to the legislative branch’s supposedly deep-rooted obstinacy. As if there was an asterisk somewhere in the Constitution that says “…unless Republicans are being jerks about it.” The president has made this extraconstitutional case the centerpiece of campaigns, and his admirers have heartily cheered the idea. Not only has he changed the conversation, which might be expected, but Democratic Party leaders in the legislative branch have implored him to take power from them, undermining a vital tenet of governance for partisanship. This is the time for Republicans to reinstate some checks and balances, however fleeting it might be. As Charles Cooke points out at National Review, stopping the nomination will require some heavy lifting. It may not even matter after next election. Not if Trump continues to do what he’s doing—win or lose. But Republicans will have to make the case that a nominee should not only be qualified, but ideologically qualified. They will have to argue that a lame duck president should not be empowered to change the composition of the Supreme Court. After all, Republicans won both Houses making an argument against Obama’s overeach. Voters seem less inclined to be moved by idealistic arguments these days, so Republicans may suffer the short-term consequences. But if conservatives truly believe their rhetoric on constitutional values—all that stuff about the First and Second Amendments, about religious freedom and checks and balances—this might be the most worthwhile battle they’ve faced. Without some kind of curb on this accelerating dynamic, there’s little doubt we’re headed for post-constitutional governance.